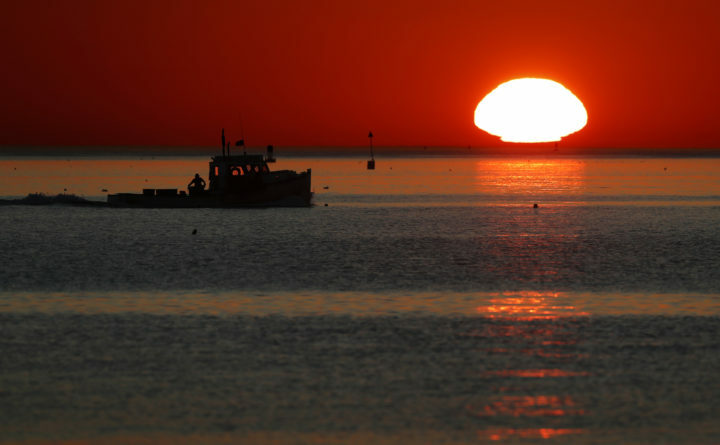 A lobster fishing boat heads out to sea at sunrise off shore from Portland, Sept. 13, 2017. Good morning from Augusta, where Maine’s response to climate change will be the issue of the day as Gov. Janet Mills addresses energy leaders to flesh out plans to fight it and Republicans will rally against a Democratic proposal to enshrine a carbon tax. Energy has been one of the major issues of the Democratic governor’s tenure, particularly over the past two weeks, when she came out in support of Central Maine Power’s controversial $1 billion proposal to build an energy corridor through Maine from Quebec to Massachusetts. Many of the environmental groups that oppose it helped get Mills elected and see her as an ally on climate policy. The debate around a carbon tax also shows how politically fraught efforts to fight climate change can be. Mills will have to negotiate all of this in her first months. Mills is expected to lay out plans to address climate change in a morning address to energy industry leaders. The new governor’s plans to fight climate change haven’t developed yet. Mills used her second executive order to end a moratorium on many new wind projects that was put into place last year by former Gov. Paul LePage, her Republican predecessor who essentially put a state response to climate change on hold during his tenure. Research emerged during LePage’s tenure finding that the Gulf of Maine has warmed faster than 99 percent of the world’s oceans. Though it helped Maine’s lobster haul from the 1980s to today, further warming will jeopardize the lobster population along with myriad other impacts. Of course, Maine can do little alone as a small state to stem climate change. The state already generates about three-quarters of its electricity from renewable sources, though Mills has said she would work toward a goal of getting 50 percent of electricity from renewables according to a state standard that doesn’t include large hydroelectric installations. Mills will flesh out climate plans at an Environmental and Energy Technology Council of Maine event in Augusta on Thursday. It’s unclear what she’ll say, but she could restate 2018 campaign goals of joining regional climate efforts and orienting state agencies toward carbon reduction and continue pitching the corridor deal as a way to reduce regional emissions. Legislative Democrats are laying out aggressive actions that Mills has so far been quiet on. An early theme of the nascent legislative session are divisions between Mills and other Democrats on taxes. The governor didn’t raise taxes in her recently released two-year budget proposal despite a sharp spending increase and a progressive desire to roll back some LePage-era income tax cuts. Other Democrats have rolled out ambitious legislative proposals on climate change, including a proposed “Green New Deal” for Maine from Rep. Chloe Maxmin of Nobleboro, and a proposed carbon tax from Rep. Deane Rykerson of Kittery. The latter bill faces a public hearing on Thursday and would tax carbon content of fuels sold by distributors, using the revenue to reduce utility rates. Maine has historically been the state that is most dependent on heating oil and the Maine Republican Party has messaged heavily against the bill. Waterville Mayor Nick Isgro, the party’s vice chair, will lead a rally against it today. Of course, it’s so far unclear where all of these bills will go and Mills seems to be trying to walk a center-left path on most issues — including climate. We’ll learn more today. After the state’s senators took part in a closed-door session Tuesday with a former Trump aide who has accused the president of lying, cheating and being a racist, Maine’s four members of Congress were largely spectators during Wednesday’s public hearing before a House committee. President Donald Trump’s personal lawyer, Michael Cohen, told the House Oversight and Government Reform Committee on Wednesday that he lied for his boss hundreds of times during the 10 years that he worked for Trump, including about business ties to Russia, and when he was directed by Trump to lie to the public after making hush payments to quiet an extramarital affair. Members of Maine’s congressional delegation said his testimony could ensnare Trump in further allegations of misconduct, but they were also incredulous, as Cohen has lied to Congress before. For that reason, what Cohen said needs to be “scrutinized carefully” as many of his assertions are of “great concern and merit further inquiry,” said U.S. Sen. Susan Collins, R-Maine. Cohen’s testimony “further underscores the importance” that Special Counsel Robert Mueller’s investigation “continue unimpeded,” she said. U.S. Sen. Angus King, I-Maine, agreed, saying, “I do not blindly take Mr. Cohen at his word, but his testimony in [Wednesday’s] open session does appear relevant — possibly substantial, if it can be corroborated — to the concurrent investigations” by special investigator Robert Mueller and the Senate Intelligence Committee, of which King and Collins are both members. The House and Senate will convene this morning, but the focus remains on committee work. We still haven’t seen a bill make its way to the governor, but it’s getting closer. Sending bills to committees remains the chief focus of floor sessions, although some proposed legislation is quietly dying because of unanimous “ought not to pass” committee recommendations or because sponsors asked that their bills be withdrawn. Click here for today’s House calendar and here for today’s Senate calendar. Most legislative committees will meet this afternoon. The Appropriations Committee will receive an overview of Mills’ proposed two-year budget from her finance commissioner. Kirsten Figuero, then delve into the governor’s supplemental budget for the fiscal year that ends June 30. The Legislative Council will meet at 1:30 p.m. to deliberate on whether to allow consideration of bills submitted after the deadline, review finances and handle other administrative matters. Click here for the agenda. Joint committees are grinding through public hearings, although committee votes on some bills could come today. The Education and Cultural Affairs Committee has scheduled a work session on LD 589, a proposal to prevent political, religious and ideological “advocacy” in classrooms from Rep. Larry Lockman, R-Bradley. Educators pushed back hard against the proposal during a public hearing last week. The Committee on Health Coverage, Insurance and Financial Services will hold work sessions on three bills, including LD 228, which would expedite the issuance of licenses for alcohol and drug treatment counselors. — A nascent proposal to move female inmates to Long Creek could be the first step on a path to ending institutionalized youth incarceration in Maine. The state’s female inmate population has spiked from 25 in 2002 to roughly 225 today. New Corrections Commissioner Randall Liberty said his department has begun exploring the possibility of housing them at the South Portland facility, which is Maine’s only youth detention center. Such a move would require strict procedures to separate adult inmates from prisoners in the youth center, a move that some say could put Maine on track to replace the youth prison with other forms of rehabilitation that does not jeopardize public safety. — The new governor will open a controversial psychiatric center championed by the old governor, but not with the purpose he intended. Mills on Wednesday said that the Bangor psychiatric facility for which LePage signed a 30-year, $11.3 million lease will become part of the Dorothea Dix Psychiatric Center, not a stepdown facility used specifically to house forensic patients. The Bangor facility was part of the former Republican governor’s plan to restore federal funding to Riverview Psychiatric Center in Augusta after it was decertified in 2013 for problems including overcrowding, low staffing levels and the use of stun guns and restraints on patients. Riverview gained recertification last week. At a news conference on Wednesday, Mills said she would seek legislative approval to operate it as part of the 48-bed Bangor hospital, adding 20 beds. It would cost $6.9 million per year to run, with roughly $4.3 million of that from federal Medicaid dollars. — Republicans are making their biennial push for stricter voter identification laws in Maine, but it’s not going anywhere. Maine Public reports that Rep. Rich Cebra, R-Naples, presented to the Veterans and Legal Affairs Committee on Wednesday a bill to require voters to show identification at the ballot box. The proposal drew opposition from the secretary of state’s office and others. Similar measures have failed in past legislatures and passage his highly unlikely in the current Legislature, where Democrats control both chambers. — Maine’s Republican U.S. senator will oppose the president’s nominee to lead the Environmental Protection Agency, but he is likely to get the job. Collins announced Wednesday that she would vote against the nomination of former coal industry lobbyist Andrew Wheeler to become EPA director. But other Republican senators seem solidly behind Wheeler, and their votes would gain him the nomination. Collins also voted against Scott Pruitt, Trump’s first EPA director. King has also opposed both nominees. Happy birthday to everyone who was born on this date. And to everyone who was born on tomorrow’s date. Even if tomorrow does not come until next year. Confusing? Imagine being a leapster or leapling — someone born on Feb. 29. I know a few and they seem relatively well-adjusted for people whose birthdays disappear from the calendar three out of every four years. According to Nester, about 187,000 leapsters live in the United States. It’s nice to have the big day show up on calendars just it time to remind you that it’s a presidential election and Summer Olympics year. But it does create dilemmas. Milestone birthdays often occur in years when the date of your birth does not show up on a calendar. 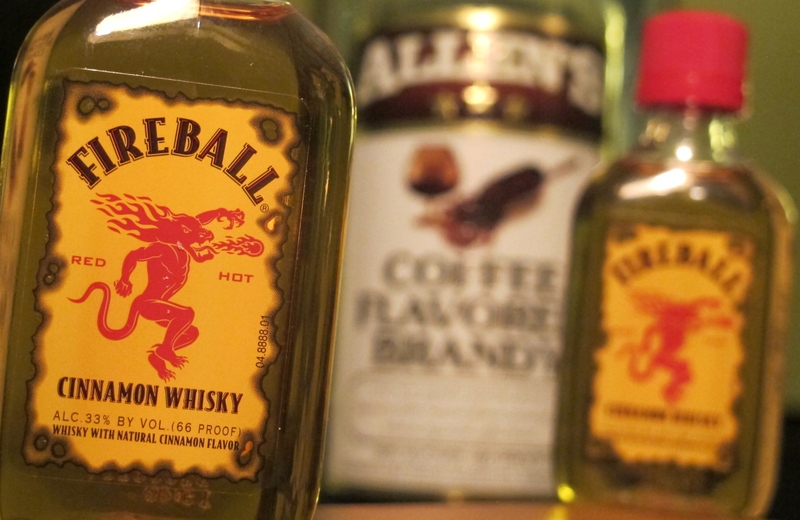 For instance, do leapsters who turn 21 get to start drinking legally on Feb. 28 or do they have to wait until March 1?